This video will discuss a few things that expatriates need to know about their United States tax obligations. Expatriates may decide to leave the United States due to work, retirement, or other reasons. Tax reduction may also be an incentive to move to a foreign country, but the U.S. uses citizenship-based taxation. Therefore, the taxpayer still has a continuing obligation to file and pay U.S. taxes on their worldwide, although they may be eligible for some exclusions. What are Common Mistakes That Expats Make? The good news is that expatriates may be eligible for the Foreign Tax Credit or Foreign Earned Income Exclusion. The Foreign Tax Credit applies to income that is earned abroad and taxed abroad, and can be used to reduce U.S. income tax liability. The Foreign Earned Income Exclusion allows expats to exclude $102,100 in 2017 (indexed annually for inflation), but only if they meet the Bona Fide Resident or Physical Presence Test. The Physical Presence Test requires that a taxpayer spend 330 days outside of the United States during the year. The Bona Fide Resident Test essentially requires the taxpayer to prove that they have made a foreign country their new home for the foreseeable future. Expats also need to meet their Foreign Bank Account Report (FBAR) and other foreign account reporting requirements such as Form 8938. If you open a foreign bank account, and the aggregate balance of your foreign accounts exceeds $10,000 at any time during the year, you have an FBAR filing requirement. 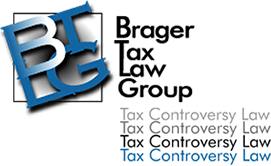 If you have failed to file an FBAR for previous tax years and were unaware of your filing requirement, you may be able to get relief from any penalties by using the Streamlined Filing Compliance Procedures, which does not require any penalty payment for certain U.S. taxpayers living overseas. Depending on when you are listening to this video, you may also be eligible for the IRS' Offshore Voluntary Disclosure Program, or OVDP. However, that program comes to a close at the end of September 2018. Finally, remember that the IRS still has significant power to enforce tax assessments against you, even if you live overseas. In addition to bank account levies, wage garnishments, and tax liens, the IRS may also be able to limit your ability to travel overseas altogether--by denying or revoking your passport. The IRS began certifying seriously delinquent tax debt to the State Department in 2018. The certifications will result in a passport denial or passport revocation. To read more about passport revocations for seriously delinquent tax debt, be sure to read our new Special Report.